How can I be phone smart? You’ve got a mobile phone, but you also get behind the wheel of a vehicle. The temptation to use your handheld phone when driving is massive. But every time you do, you’re taking your eyes off the road. And losing your concentration can have devastating consequences. It’s time to stop – right now. You see others doing it – and perhaps you do it yourself. It might feel harmless, but so many shocking news headlines show us otherwise. It’s been illegal to use a handheld phone at the wheel in the UK since 2003. And while the penalties for doing so are tough, could you live with causing a tragic collision because you were distracted by your phone? Help make the roads safer for all of us – make a promise today to your friends and family you’ll Be Phone Smart. Driving is one of the most mentally demanding things you can do. That’s a fact. But your phone demands your attention too. Being Phone Smart is about recognising that your phone has a grip on you – and that you’re committed to breaking that hold when you’re driving. 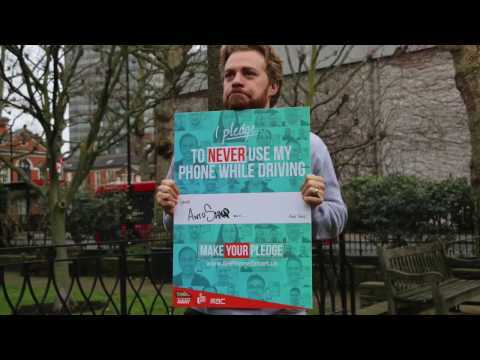 It’s about taking a stand and realising that driving really does require your full attention. 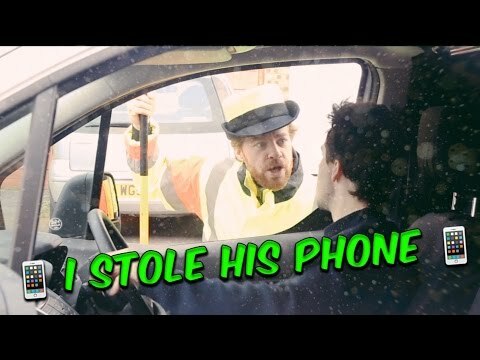 By leaving your phone alone you’re keeping everyone on the road safe. And, it’s also about talking to your friends and family – telling them you don’t and you won’t use a handheld phone at the wheel, and how you’d love them to make the same promise. What are the chances of you missing something genuinely important while you’re driving? If you know, or think, you’re tempted to use a handheld phone at the wheel, put it away. If it’s out of sight, and silenced, you know you can stay focused on the road ahead. If we want to bring about a change, it’s going to need all of us to get involved. Interested in showing your support? Contact the campaign today! 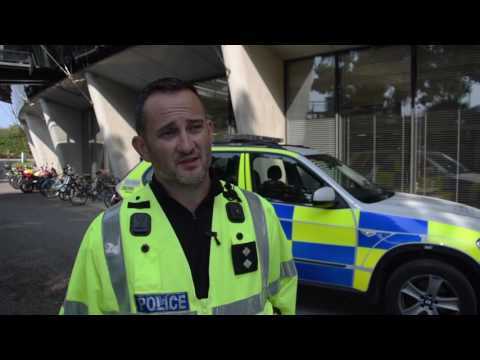 Great - you've made the first step, and you're ready to make your promise to stop using a handheld phone at the wheel. Click the button to make a photo promise you can share on Facebook, Twitter or Instagram - or just make a promise without a pic. Great - you're ready to make your promise. 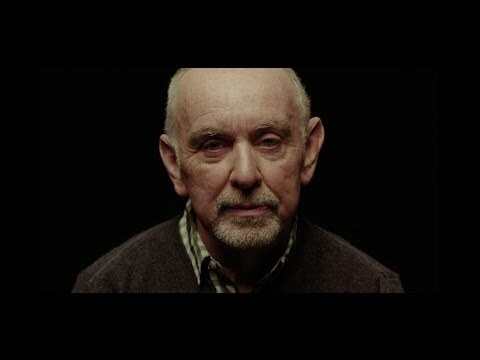 Take the photo to use as your promise profile photo. We recommend you take a photo where you have space to the left of your head so you can place the emblem as a promise to not using your phone whilst driving again. Using an iPhone? Make sure you shoot landscape - turn your phone to the right. Move the Be Phone Smart emblem so that it fits naturally next to your head. If you took the photo with the emblem already on your phone screen please use the toggle to switch the graphic off. Upload the photo you want to use as your promise profile photo. We recommend you use a photo where you have space to the left of your head so you can place the emblem as a promise to not using your phone whilst driving again. Apart from commuting, do you drive for work? Are there any apps to help make my phone less distracting while I'm driving? If you’re using Android, try a third party app like Agent which can detect when you’re driving and let people trying to contact you know that you’re not available – they get sent an automated text. It can even read out your text messages for you. Apple iPhone users running iOS 11 can switch on a Do Not Disturb While Driving function before they set off. This stops notifications and notifies people who try and contact you that you’ll reply to them later. Combine this with the Family Sharing function (available in Settings), which shares your location with a set list of people, and you have no need to use your phone while driving. Available for iOS and Android is Google’s crowdsourced sat nav app, Waze. This allows you to share your journey with someone else before you set off, and if you get delayed en route the app tells them – without you needing to feel the need to send a message yourself. Can't I use a phone at all while driving? What about hands-free? The law is clear – except in the case needing to call 999 or 112 when it’s not safe or impractical to stop, you must not use a handheld mobile phone while driving. The only legal way to use any phone while driving is to make or receive calls using a properly-installed hands-free kit but you might still be safer to pull over, switch your engine off and then make a call. You can find out more in our full guide on what the law says on mobile phone use at the wheel. I use my phone as a sat-nav. How can I use that safely? Firstly, make sure you don’t find it distracting to have a sat-nav showing or talking directions to you. If you do, you’re better off not using it in the first place. If you do plan on using your phone as a sat nav, then get it fully charged up and set your destination set before you drive off. Set it in a cradle, ideally out of reach and not stuck to the windscreen where it obscures your view. Tell people your ETA before you set off to avoid any temptation to need to update them yourself. Some sat nav apps such as Waze allow you to share your journey with other people so they can track where you are – again, meaning you won’t feel the need to have to contact them. My phone isn't the only distraction when I'm driving, so why should I focus on this? You’re right – but your phone is probably one of the biggest distractions. Apart from your phone, think about what else can you do to make your driving environment a calm one. Things like knowing your route to avoid the need to check a map and avoiding long and potentially heated conversations with passengers can really help. What if I'm in traffic and the engine is off? Can I use my phone then? If you are in a queue of traffic and it’s going nowhere you are still in control of that vehicle and could be prosecuted – even if your engine switches off by itself (so-called ‘start-stop technology’). Ask yourself – why do I need to use my phone in the first place anyway? What can’t wait until I’ve finished my journey? Can I touch the screen on my phone to accept a call, so long as I am using a hands-free kit? You can, but only as long as you’re retaining full control of the vehicle – so reaching over to the windscreen to take a call and taking your eyes off the road is likely to be seen as you not being in proper control. A properly installed hands-free kit will have its own ‘answer’ button, or if your car has an in-built kit there is usually a button on the steering wheel. Where should I position my phone (or sat-nav) in my vehicle? In a place that doesn’t obscure your view – such as low down on the windscreen (but not directly in front of you). We recommend you use audible sat nav instructions to reduce the need for you to have to peer at a small screen. You might find it preferable to buy a hands-free kit which can be mounted high on the dashboard. My phone is in a cradle, hands-free, but I make a phone or Facetime call. Is that okay? Even if you don’t touch the phone at all while you’re driving, you’re unlikely to be in proper control of your vehicle – especially if you are using Facetime which is a huge distraction. Either stick to a very short hands-free phone call, or better still wait until you are parked up safely and then make the call. 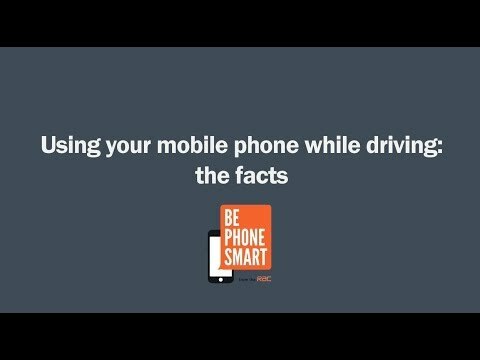 If you'd like more information on the Be Phone Smart campaign, would like to show your support, or have any questions we'd be very happy to hear from you.